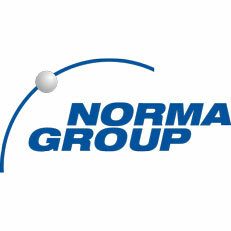 The NORMA Group offers a wide product and solution range that meets all requirements of our customers, whether it comes to connecting, bending, fixing, strapping or retaining. As the market leader for hose and pipe sealing and clamping technology, we have developed, produced and delivered a unique range of products. Our strength lies in our broad, high-quality and innovative product portfolio, which includes the following brands: NORMA, Breeze, ABA, Serflex, Serratub, Terry and Torca. With headquarters in Maintal, near Frankfurt Germany, NORMA operates across 60 countries and has approximately 3.300 employees and offers in excess of 35,000 products. With optimized production processes, state-of-the-art manufacturing technology and system-accompanying services, we ensure that the internationally recognized and certified quality of our products and services are consistently delivered to our worldwide industrial base. The NORMA product range consists of six product groups: NORMACLAMP Hose Clamps Provides the optimum sealing solution for all applications from standard products with or without constant tension spring to special usage clips and heavy duty bolt clamps including the Oetiker Ear Clamp ranges. NORMACONNECT Pipe Connections Contains high strength couplings for the joining of plain ended pipes and includes drainage industry products and automotive exhaust system clamps. NORMAFIX Fixing and Retaining Products Comprises a wide variety of products for the attachment and retaining of pipes, cables, cable harnesses and hoses to walls, ceilings as well as car bodies. The range also includes the Bandimex bands and buckle strapping system. NORMAPLAST Plastic Hose-Connectors Plastic hose and pipe connectors suitable to connect fluid carrying lines. This product has become an indespensible aid to the domestic, commercial, industrial and automotive market sectors. NORMAQUICK Quick Connectors NORMAFLEX Transport Systems for air and fluids.